These are super cute! Only the link to the pattern is no longer valid. Does anyone have the pattern? 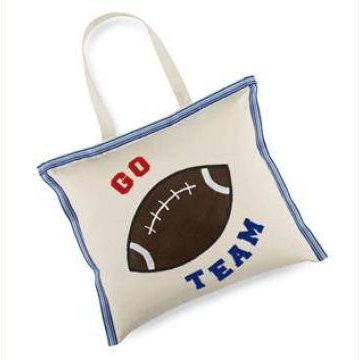 The pattern was for the football image, not for the sewing. It’s not 100% necessary but I did find these instructions for making a football out of paper that you could easily do with felt instead!